You have until next week to place your bid for this Corolla iM by Papadakis Racing. When Toyota showcased custom Corollas and Tundras at the 2018 SEMA, one of the highlights were the Toyota Corolla Hatchback drift car by Papadakis Racing. It was a purpose-built racecar that's made to excite whoever it is behind its steering wheel, but only a few could afford or at least have a chance to drive the car. Well, unless you're connected to Papadakis Racing, then chances are you've already driven the bonkers hatchback. Fortunately, one of the older brothers of the SEMA-showcased hatchback is now up for bid at Bring A Trailer – and you only have until next Saturday to bid for the car. 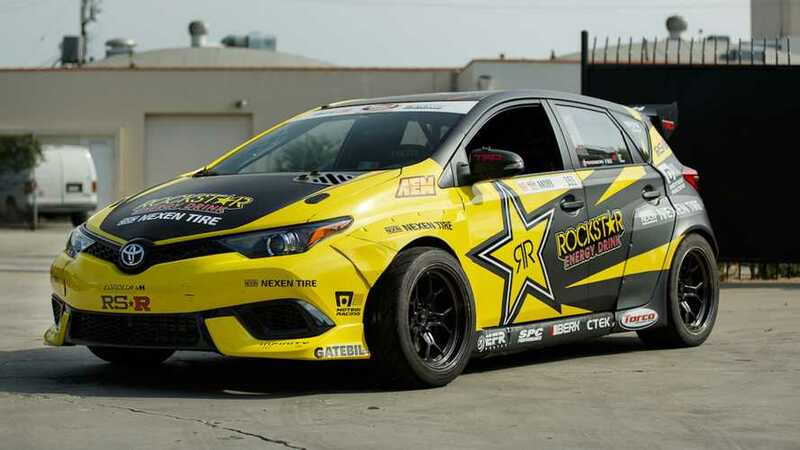 Just like the one showcased at last year's SEMA, the 2017 Corolla iM Formula Drift car features widebody kits, custom matte black and yellow livery with Rockstar Racing decals, and a converted rear-wheel drivetrain. built by Papadakis Racing and campaigned in the 2017 Formula Drift Pro Championship by racing driver Fredric Aasbo. Powering the drift car is a longitudinally-mounted 2.7-liter turbo four-pot engine that sends power to the rear wheels via a G-Force four-speed manual transmission and a carbon fiber driveshaft. Aside from that, it also has a 10.5:1 JE pistons, a BorgWarner turbocharger, AEM fuel injection, a nitrous oxide system, and a custom RS-R suspension setup that allows 65 degrees of steering angle. As expected, the 2017 Corolla iM Formula Drift car has a stripped-down interior that's housed inside the chassis-welded roll cage. The race-prepped cabin features Takata racing seats, a removable Sparco steering wheel, and a custom instrument panel. 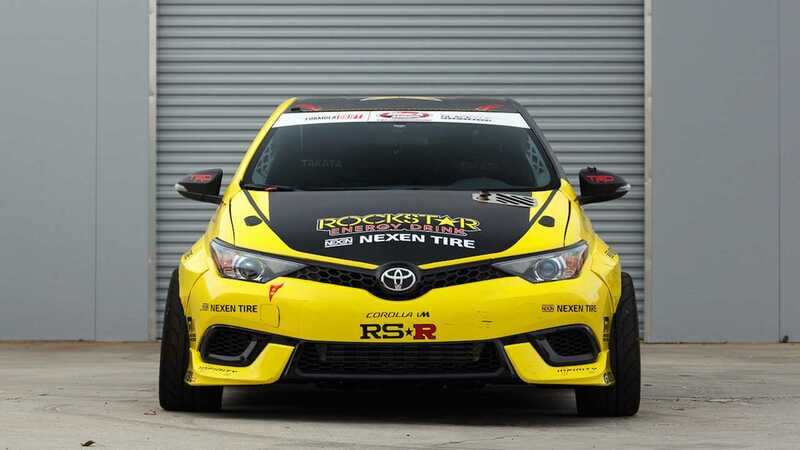 The 2017 Corolla iM Formula Drift car is offered with spare parts and wheels, as well as a California non-op registration in the seller’s name. You have until February 23, 2019, Saturday, to place a bid for this crazy build. You can click on the link below to visit Bring A Trailer.